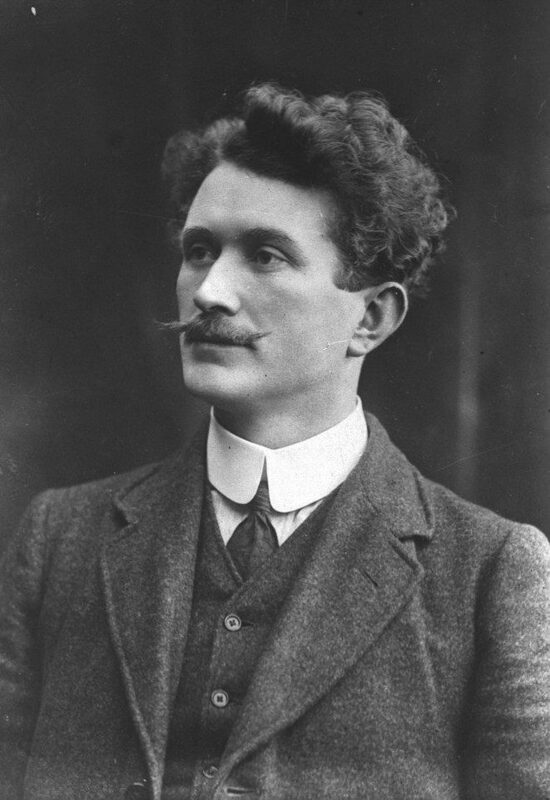 Thomas Ashe grew up in an environment of patriotism and yearning for independence. From his early teaching days he was a member of the Irish Republican Brotherhood. This organisation brought Ashe into contact with many others who shared his ideals and ambitions. He remained a lifelong member of the I.R.B. and in fact at the time of his death he was president of that organisation. The Home Rule Bill of 1912 was strongly opposed by the Ulster Unionists, and the Ulster Volunteer Force led by Sir Edward Carson was set up to campaign against it. The British authorities failed to voice any opposition to the Ulster Volunteers and because of this many people in the south – Ashe among them – felt the time was opportune for setting up a National Volunteer Force. The Irish Volunteers were formed in the Rotunda, Dublin, on 28Th November 1913. Earlier that year Bulmer Hobson had ordered a secret drill of the I.R.B. members in Dublin and these men became the majority of the officers when the Volunteers were formed because of their experience in drill and military instruction. The plan was that the officers would organise the Volunteers in their own areas. The Fingal Volunteers (The Fifth Battalion) were under the command of Dr. Richard Hayes of Bruree, Co. Limerick, who in later life became the Irish film censor. Training of the Fingal Volunteers began in earnest when Ashe returned from America at the end of September 1914. He brought his men on military exercises and manoeuvres as often as possible to familiarise them with the terrain they would later control. He saw to it that his men were prepared both physically and mentally for battle. Early in 1916 Ashe was elected to Commandant of the Fifth Battalion and Dr. Hayes its medical officer. The Fingal Volunteers numbered about 70 in all. They were trained for swift sudden movement on the principle of the flying column which was used with such success at a later stage in the war against the British. The provision of arms and ammunition was a major problem for Ashe. He organised a system whereby the Fingal Volunteers saved some money each week to buy guns and ammunition and at the beginning of 1916 every member of the Fifth Battalion had a firearm of some sort. They were now ready and waiting in anticipation for the call to strike a blow for freedom.